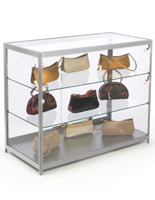 These jewelry display cases have a classic understated design that will work in any retail, commercial, institutional or even residential environment. 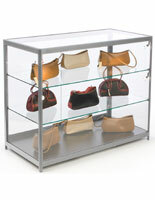 Each showcase is part of our Grace Tyler line that has clean lines and a neutral semi-gloss finish. 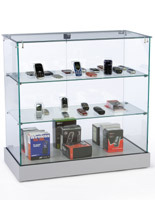 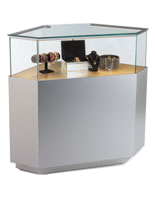 These retail counter displays, jewelry display cases have a sturdy MDF base with a semi-gloss silver finish. 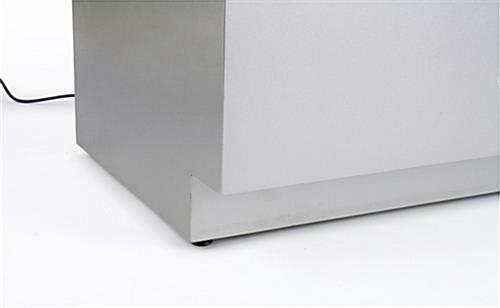 The bases also have recessed toe kicks that reduce scuff marks, floor leveling feet. 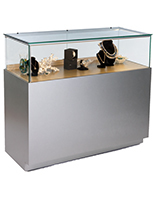 These jewelry display cases, also known as tempered glass retail counter showcase assemblies, are perfect for retail stores, museums, galleries, educational facilities and more because they provide attractive yet secure storage for merchandise or collectibles. 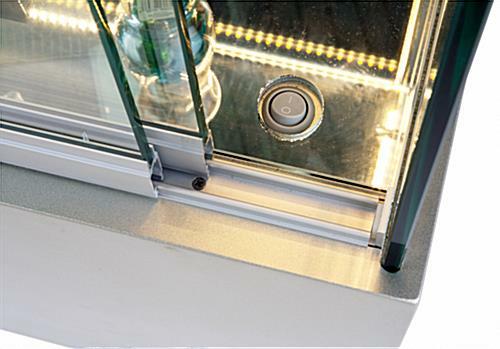 These cases have (2) built in shelves with built-in LED lighting and have locking rear-access sliders with secure plunger locks. 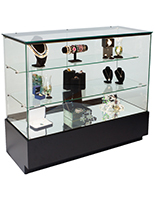 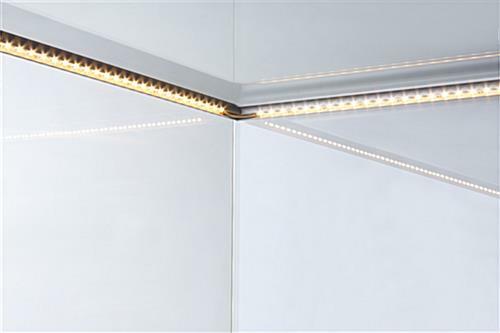 The Light-Emitting-Diodes provide soft, natural lighting that reduces energy use, making these jewelry display cases very cost-efficient to operate. 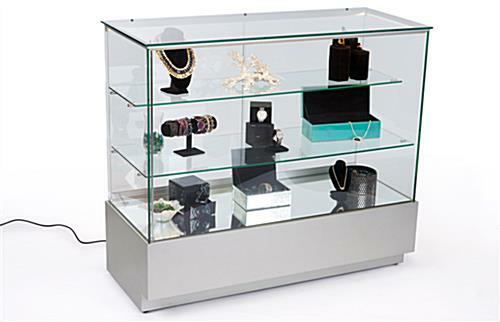 These tall full-vision cabinets, jewelry display cases with security locks are 42" high, which is 4 inches taller than other models. 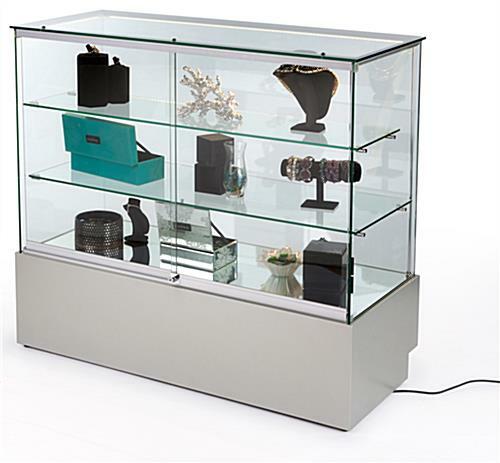 As part of the Grace Tyler line, these showcase displays will coordinate perfectly with other units from the same line, and can be purchased together to create custom-looking retail counter configurations. 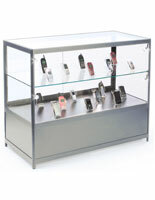 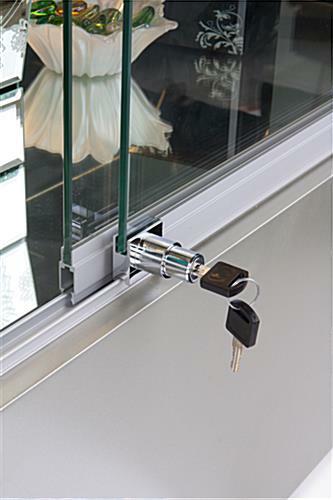 These secure and attractive retail display cases with LED lights and tempered glass come with two keys included for security. 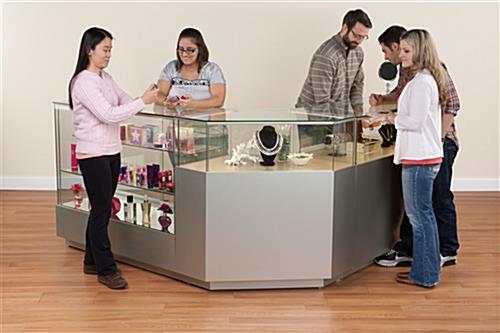 The glass used in these merchandise counters is both impact and shatter resistant to protect both merchandise and customers. 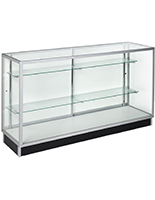 46.0" x 28.5" x 17.5"